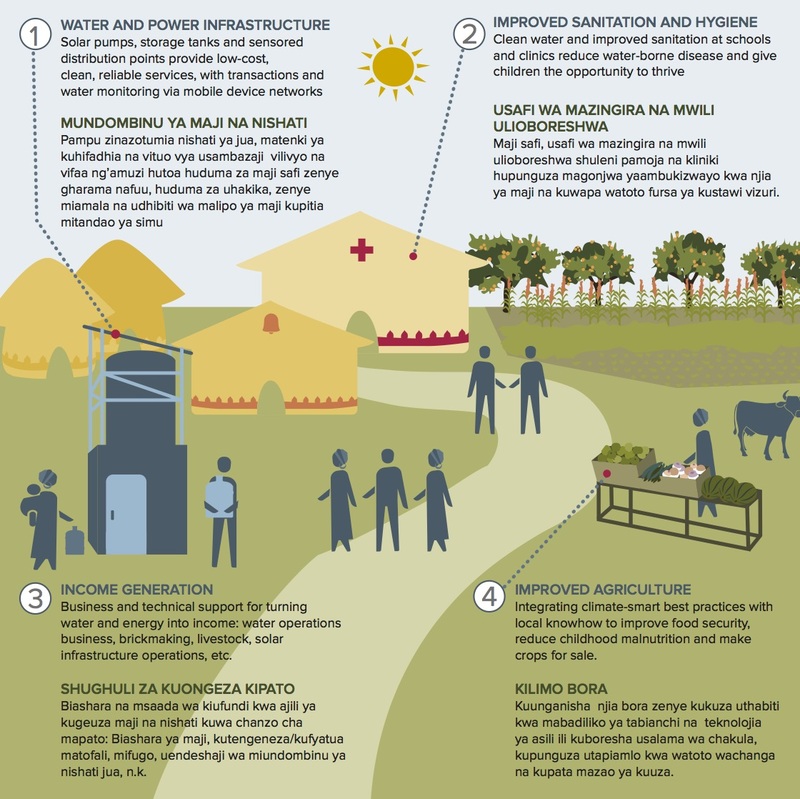 What is a Sustainable Village Water System? Sustainable Village Water Systems Program was developed based on the fact that rural water access depends on a lot more than a new pump. In order to deliver reliable, clean water, we had to get into renewable energy, sanitation, agriculture, health, women’s empowerment, and business development. So that’s what we deliver: Village Water Systems that incorporate water pumps plus the essential aspects needed to make the whole thing sustainable. We work with community members before, during and after project implementation to design the most appropriate Sustainable Village Water Systems to meet their needs and goals. While some elements of the systems are standardized (allowing for a supply chain of spare parts and a workforce trained to install them), our community partners are the most important authorities on what sustainability looks like to them and how Sustainable Village Water Systems can help them build a brighter future. Learn about our village-by-village site assessment of over 40 sites in Tanzania. Download this image as a one-page pdf.